Unity 2018.3 introduces c# 7 to Unity developers! 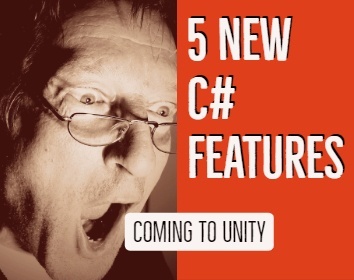 Today we’ll talk about 5 of those new features and how you can use them in your unity projects. We’ll talk about pattern matching, out parameters, tuples, and a whole lot more. Learn how to read the new syntax and how some of these features can make your development life easier.